Antique-Style Revolving Brass Sand Timer / Hourglass - Two-Tone Antique Brass Finish | BUDK.com - Knives & Swords At The Lowest Prices! 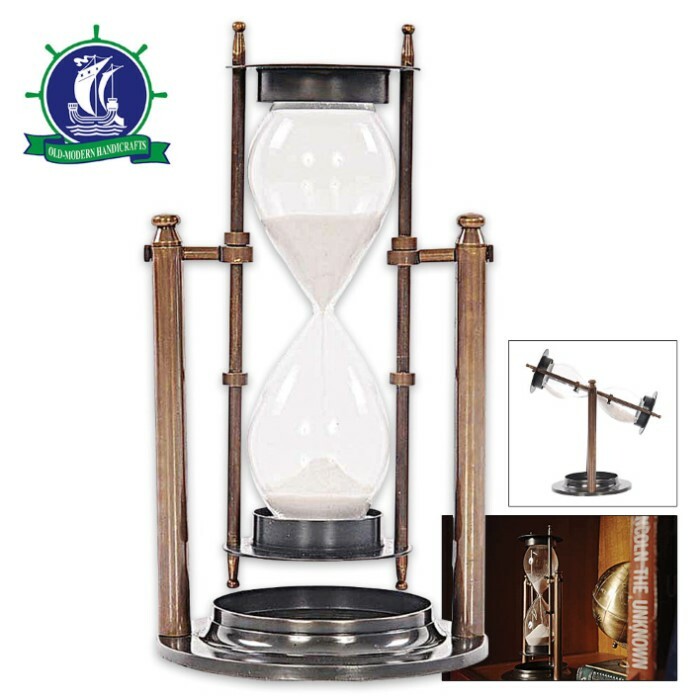 Mirrors early marine sand timers from "Age of Exploration"
The sand timer, more commonly referred to as the hourglass, is a simple device used to keep track of time. Minutes are measured as sand moves from bulb to bulb. 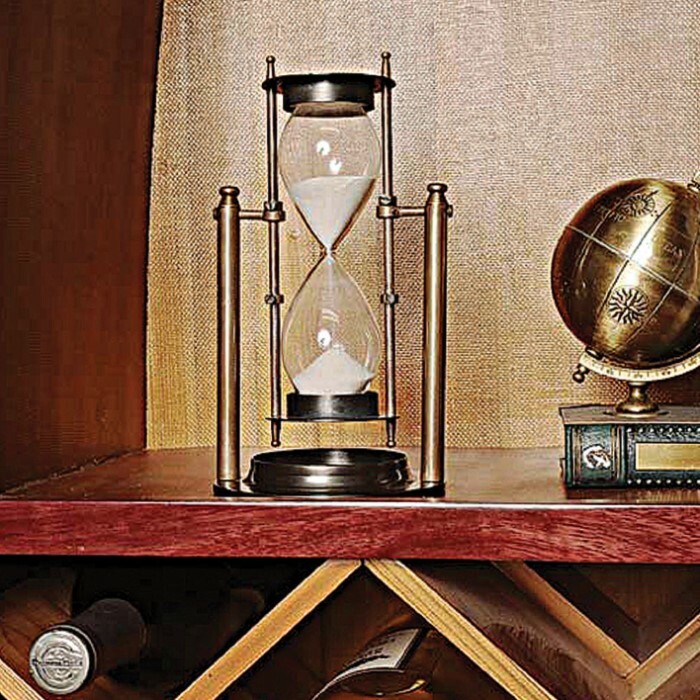 During long sea voyages in the 16th-century "Age of Discovery," the hourglass would be one of few reliable ways to measure time at sea. Alongside a compass, accurate timekeeping was essential for overall navigation. Based on those early seafaring sand timers, this fully functional brass hourglass adds a bit of class and charm to any space. 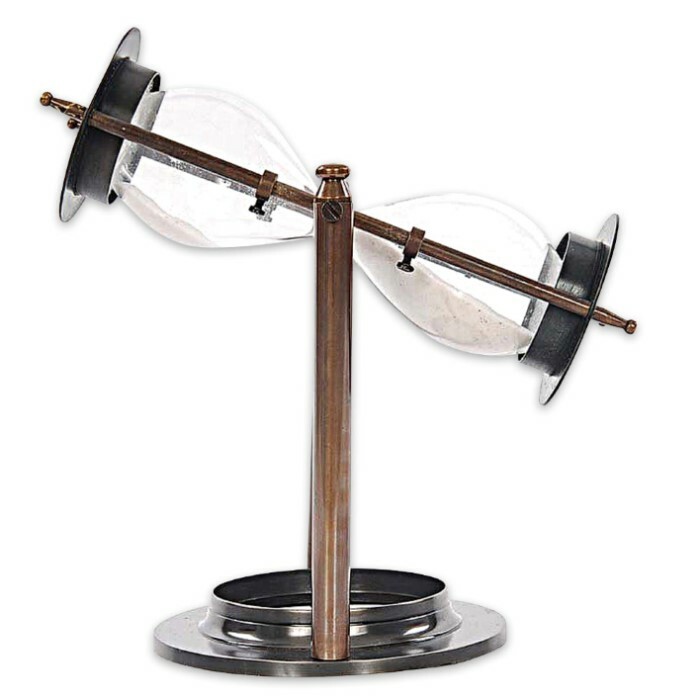 It stands on a metal base and can conveniently be flipped over without moving the frame to start the timer / sand flow. Looks great in any home or office and makes a fantastic, memorable gift! Ships directly from manufacturer.